We all want what’s best for our newborns, so why not provide them with the ultimate experience in comfort with Baby Inc’s Sonno Bassinet. 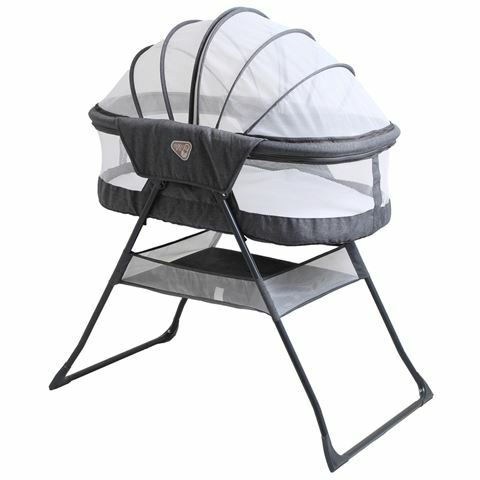 Striking the perfect balance between style and practicality, this lightweight bassinet features a protective mesh netting that fully encloses your bub while providing them with full ventilation and air circulation. With a luxurious mattress included, the bassinet’s sturdy structure folds down with ease and fits perfectly inside the included carry bag. Recommended for children aged from newborn and up. Crafted from strong fabrics and metal. Full ventilation and air circulation. Also comes with a mattress sheet. Presented in a Baby Inc box. Assembled Dimensions: 95.5cm (l) x 115cm (h) x 58.5cm (w).